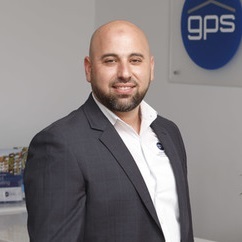 I'm the principal director of GPS Guardian Property Specialists, I've been in the real estate industry for 15 years around Parramatta with particular focus on research and marketing of new residential developments. I've been involved with a few community based organisations serving communities on various levels. I have a passion for the ever-thriving Parramatta Business Community with a vast network reach locally. We currently host one of the Chamber's eNRGy network meetings in our office weekly and willing to assist in further expanding these networking events. I have also sponsored and supported WSABE (Western Sydney awards for Business Excellence), hosted by Parramatta Chamber to recognise and promote business excellence in Western Sydney. I believe in the great work the Parramatta Chamber of Commerce delivers and would be proud to be part of its continued growth.